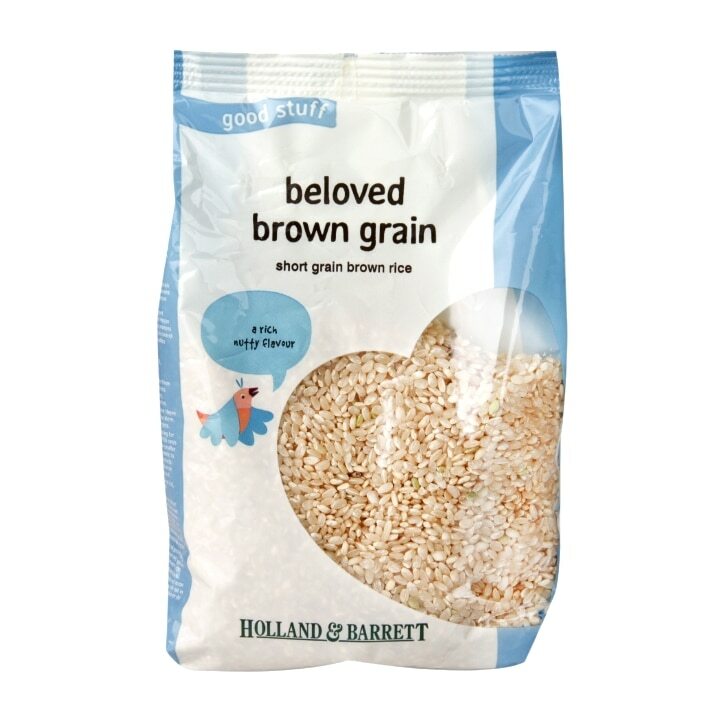 Holland & Barrett Brown Grain is rated 4.9 out of 5 by 18. Rated 4 out of 5 by Davk from Firm short grain. Bought for use in next two months to save shopping. Rated 5 out of 5 by george28 from short grain brown rice Tasty, filling and healthy. And even better combined with H & B super offers BOGOF! Rated 5 out of 5 by Linna from Tastiest rice on the market Tastiest rice on the market. I have tried other brown rice, but these ones are the best! Rated 5 out of 5 by Gina3610 from The kitchen staple. Great quality rice that has become hard to find of late! Extremely versatile it's a staple for many meals whether veggie or meat. Good price too. Rated 5 out of 5 by Cindy25 from Favourite brown rice Great substitute and healthy alternative for white rice. It has a lovely plump texture and nutty taste. Rated 4 out of 5 by Mamajama from Tasty and easy to cook Tastes good and does not take ages to cook like some types of brown rice do. Cooked in my rice cooker on its own and also mixed with white rice. Turns out fine both ways. Son loves it.